Provides an excellent source of nutritive chlorophyll. 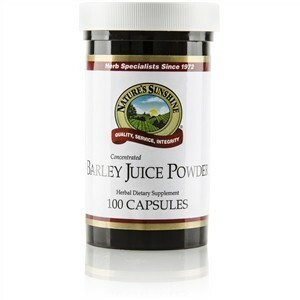 This product is derived from young barley plants, which have strong enhancing functions. Barley greens (dry weight) are also a superior source of chlorophyll, the nutrient-rich byproduct of photosynthesis that makes plants green and is chemically similar to human blood. 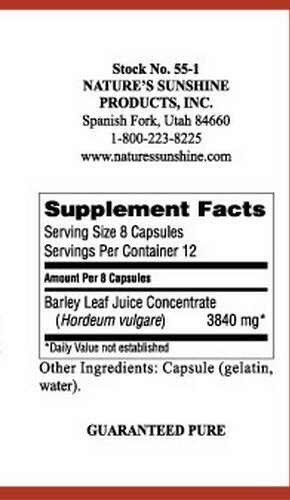 Take 8 capsules daily with water on an empty stomach.